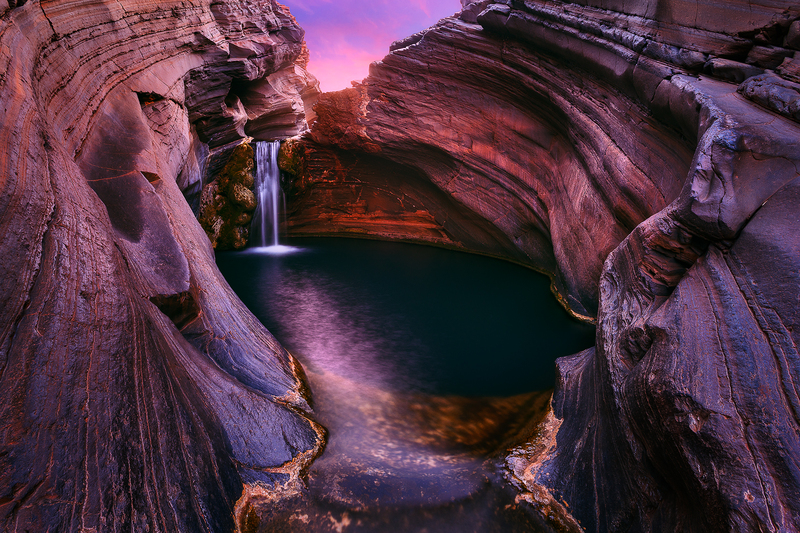 The incredible Spa Pool of Karijini National Park photographed during a beautiful display of twilight colours. This was my second visit to Hammersley Gorge and Spa Pool during this solo camping trip in Karijini. The first attempt I didn't get any sunset or twilight colours like I had hoped so I waited a couple days before returning. And am I glad I did. Not only because it is an incredible place but that combined with the stunning light that draped the scene made for the perfect end to an incredible trip. A West Australian gem. Secure your limited edition, Karijini print, 'Evening Refuge', by selecting your desired print size in the menu to the right.